How To Submit Blogger Sitemap To Bing Webmaster Tools - Hallo sahabat Information About Blogger, Pada Artikel yang anda baca kali ini dengan judul How To Submit Blogger Sitemap To Bing Webmaster Tools, kami telah mempersiapkan artikel ini dengan baik untuk anda baca dan ambil informasi didalamnya. mudah-mudahan isi postingan Artikel Bing webmaster tools tutorials, Artikel Blogger Seo(Search Engine Optimization, yang kami tulis ini dapat anda pahami. baiklah, selamat membaca. I am sure Bing doesn't need to be introduced. Everybody knows Bing. It is the second most used search engine after Google which makes it important for bloggers and webmasters who are trying to promote their newly created site. One of the most important step to promote a blog or site is to submit its sitemap to every search engine so that it can be indexed and people can reach it though search engines. 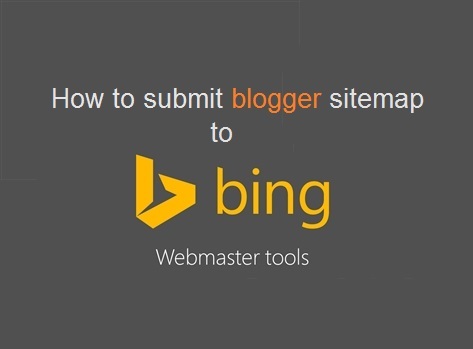 And that's why I created this post to help newbies how to submit blogger blog's sitemap to Bing Webmaster Tools. It will help Bing to crawl your blog and index every post you create. 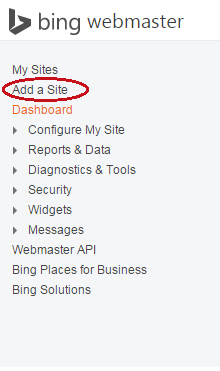 So follow below steps to submit your blog's sitemap to Bing. If you have any questions you can ask me in comments below. 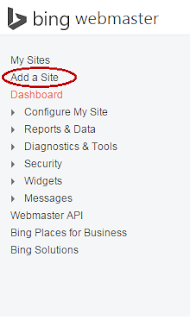 How To Submit Sitemap To Bing In Blogger? Step 1: Go to Bing Webmaster Tools and sign-in using your Microsoft account. Step 2: Click on Add a Site in the menu above Dashboard. 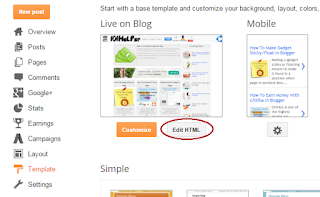 Step 3: Enter your blog's Homepage link and below it enter your blog's sitemap link. Leave the third option as it is. I recommend you to use https://www.yourblog.blogspot.com/sitemap.xml as your sitemap url. Congratulations! you are done successfully now its time to verify your ownership so follow below steps. How To Verify Ownership In Bing Webmaster Tools? Step 1: Click on Configure My Site below Dashboard in the menu and click on Verify Ownership. Step 2: On the verification page there are three ways to verify your bing webmaster tools but we will choose the second option which is meta tag verification. So copy the meta tag of your webmaster tools as shown in below image. 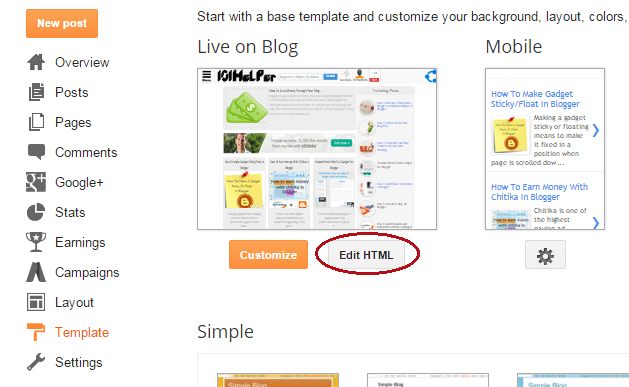 Step 3: Now go to Blogger Dashboard > Template and click on Edit Html. Step 4: Click inside the code and search for <head> by using Ctrl+F on your keyboard. 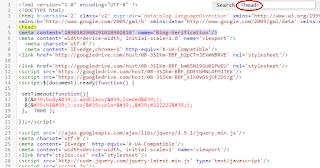 Step 5: Paste the Bing meta tag below <head> as shown in above image. Step 6: Click on save template and go back to Bing verification page. Step 7: Click on Verify button in the bottom and you are done. Congartulations! Now your blog is verified in Bing Webmaster Tools. Bing will process your sitemap as soon as possible and index all your pages. 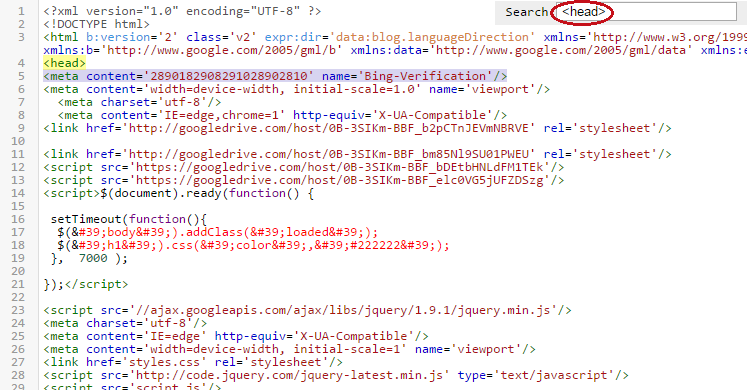 Important Note: Never remove Bing meta tag from your blog template even after verification because if you do so Bing will not index any of your page and start removing the already indexed pages. After submitting your site to Bing Webmaster Tools wait for bing to index your pages meanwhile you may make some changes in your Robots text to indicate Bing which pages are to be indexed and which not. I hope you liked this post. If yes please share your views by leaving a comment below and share this post with others. Follow and subscribe to newsletter for latest updates about webmaster tools tutorials or blogging. Search Tags: How to submit sitemap to webmaster tools, bing webmaster tools, blogger sitemap, blogger tutorials webmaster tools, 101Helper webmaster tools tutorials for blogger, How To Submit Blogger Sitemap To Bing Webmaster Tools,boost traffic,seo. 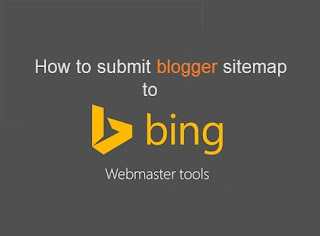 Thank you for visiting the article How To Submit Blogger Sitemap To Bing Webmaster Tools hopefully always provide useful information, see you in another article. 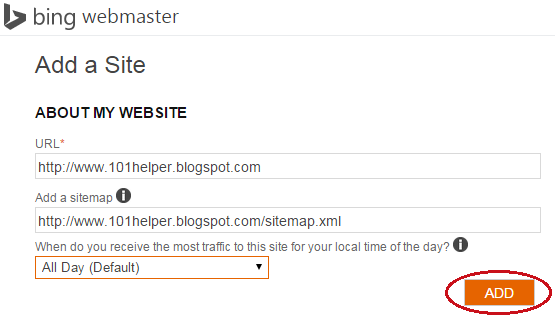 0 Response to "How To Submit Blogger Sitemap To Bing Webmaster Tools"